Host reads by popular hosts are an effective advertising method on podcasts but many marketers are worried about brand safety by being in some podcasts and are failing to maximise their potential. live / host read ads by hosts resonate best with audiences because there is already an in-built trust. They are even more effective if the brand allows the host to inject their own personality into the read. Marketers worried about a lack of control are often choosing safer options of a scripted read by the podcast producer because they are concerned about brand damage if the host says something negative or off color. Advertising on a podcast where the host drops the four-letter words, but the audience won’t be offended because they have chosen to be there. Likely won’t be shocked because that’s what they expect when they tune in for. Truth is the less scripted a live read feels, the better the response. Advertising duration/time should be restricted to three minutes per hour, less than radio or television, as tolerance of interruptive advertising is lower among podcast listeners because it is a more personal medium. Music libraries are increasingly becoming more like dispersed pockets of musical treasure: some tracks tucked away in folders on your device, some songs just stored on iCloud, some tracks shared with you through Dropbox. So when you’re uploading music to your podcast, you want to easily be able to tap into your library, however spread out it may be! 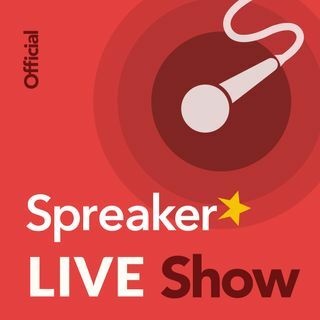 In Spreaker Studio, go to the recording page and clip the + sign to add content. Click ‘Browse’ to search through your device to add music to your playlist, or add new effects from your own collection. Ok, sounds good. I just listened back to my second comment with a good set of headphones and realized you can hear my son's baby talk in the background. :smile: I think it makes it sound more authentic! Thanks Kyle. We will discuss your audio comment today on the show. Just to reassure people who share to You Tube from Spreaker, if you have Epidemic Sound, it is covered under the license for You Tube as well. Does Sound Cloud also feed listens into Spreaker? Also, places like freestockmusic.com is another avenue for you. I always use my own created music or Epidemic Sound which is probably the most reasonable price for licensed music you will find. Given the genre and that we appeal to PG-13/TV-14, we keep the FCC forbidden prime time stuff beeped out or word around it. I think we run into problems with not having control over the advertisers. For example, a spiritual show is not necessarily going to want beer and gambling casino commercials on their show as what happened with me when I was on Blog Talk. Thank you for listening to the Live show today... Comment here we want to hear from you!